beckna had the most liked content! 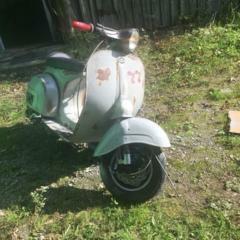 beckna replied to Brosi's topic in Vespa V50, Primavera, ET3, PK, ETS etc. beckna replied to egig's topic in Vespa V50, Primavera, ET3, PK, ETS etc. beckna replied to salih's topic in Vespa V50, Primavera, ET3, PK, ETS etc. beckna replied to mauropapa's topic in Vespa V50, Primavera, ET3, PK, ETS etc. beckna replied to KingOfBurnout's topic in Vespa V50, Primavera, ET3, PK, ETS etc. Wenn du den Dämpfer nicht verlängern willst kannst du nur schneiden! beckna replied to dorkisbored's topic in Vespa V50, Primavera, ET3, PK, ETS etc.